KAUKAUNA — The Kaukauna High School boys golf team is ranked No. 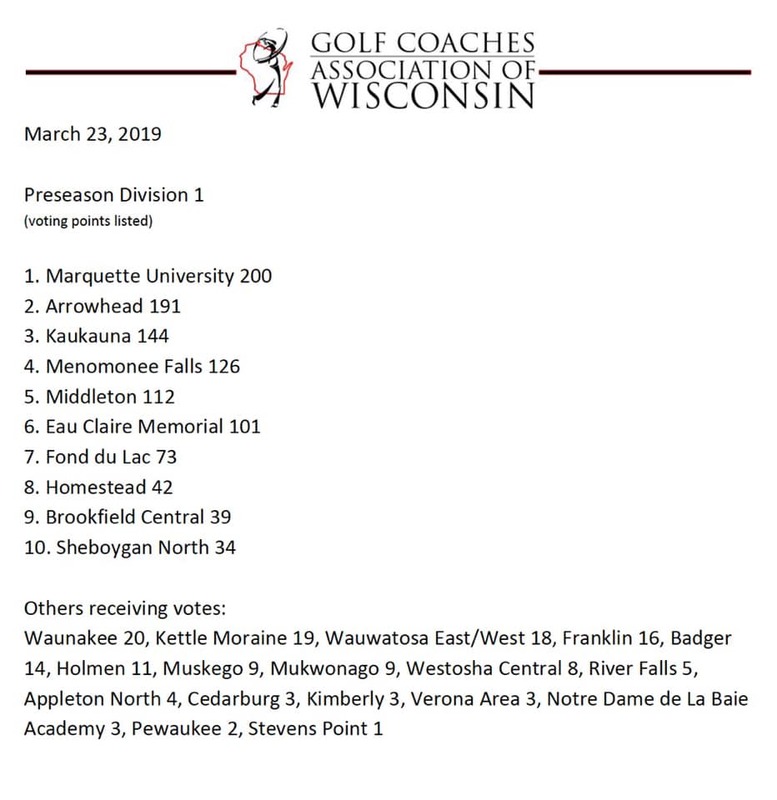 3 in the preseason poll from the Golf Coaches Association of Wisconsin. Marquette was ranked first and Marquette second. Last season, the Ghosts won the Fox Valley Association team championship, then added Division 1 regional and sectional titles before heading into the WIAA state tournament where they finished third in Division 1. Kaukauna begins its season April 8, 2019 with a 16-team invitational at High Cliff Golf Course. The conference meet is set for Friday, May 17, 2019.